NORFOLK, Va. - The Toledo Mud Hens fell 3-0 to the Norfolk Tides in a pitcher's duel on Sunday afternoon at Harbor Park. 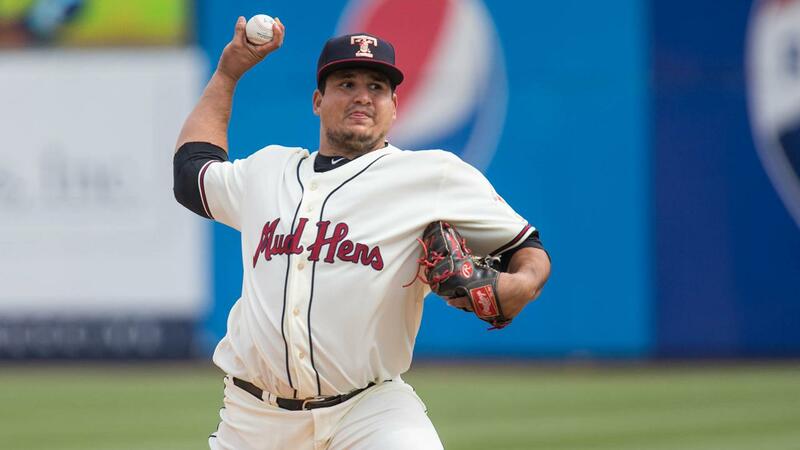 The Mud Hens (5-5) recorded four hits but were unable to score as the Tides (3-8) used five hits and five walks along with two wild pitches to win 3-0. Norfolk scored two runs in the fifth inning and one in the seventh to hold off the Hens and split the series 2-2. For the second straight day, Danny Woodrow led Toledo off with a single following a rain delay. The Mud Hens were unable to produce runs after having its first two runners reach base safely. RHP Kyle Funkhouser took to the hill to start the game for Toledo. Norfolk recorded its first hit in the fifth inning as Christopher Bostick and Carlos Perez notched back-to-back singles. Bostick then scored on a wild pitch as Perez moved to second. Jack Reinheimer earned a walk on a wild pitch and Perez moved to third. Mason Williams then hit a sacrifice fly to center field scoring Perez. Funkhouser forced a groundout before walking Ryan Mountcastle. Then Chance Sisco flied out to center to end the inning. The Tides took a 2-0 lead into the sixth inning. Funkhouser handed the ball over to RHP Eduardo Paredes for the seventh inning. Funkhouser allowed two earned runs and two hits in six innings of work while walking five and striking out six. Perez led off the bottom of the seventh inning with a double for Norfolk. Reinheimer hit a deep fly ball to left to move Perez to third, and Perez came in to score on a sacrifice fly to center by Williams. The Tides took a 3-0 lead into the eighth inning. The third RHP of the day came in for the Hens as Eduardo Jimenez replaced Paredes. Paredes allowed one earned run on two hits while fanning one. Toledo would not go away quietly as it started a two-out rally. Daz Cameron and Willi Castro reached on consecutive singles. Luis Gonzalez quieted the noise causing Victor Reyes to fly out to right as Norfolk won 3-0 to split the series 2-2 with Toledo. Toledo opens a four-game series with division foe Indianapolis on Monday as the Mud Hens look to even the score with the Indians. First pitch is set for 7:05 p.m. at Victory Field. • The Mud Hens were shut out for the first time this season. Prior to today, the fewest runs the club was held too was three. • The West Division is separated by 1.5 games. Indianapolis holds a 6-3 record and hosts Charlotte. Columbus sits at 5-4 and plays Durham at 4:05 p.m. Louisville sits at 5-5 as it takes on Gwinnett. • The Mud Hens went 4-6 against the Tides last season and starts the 2019 campaign 2-2.